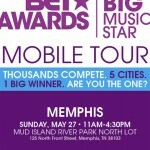 Memphis, TN – On Sunday, May 27th, BET Networks is coming to Memphis in search of aspiring talent for the BET Awards Next Big Music Star Mobile Tour. 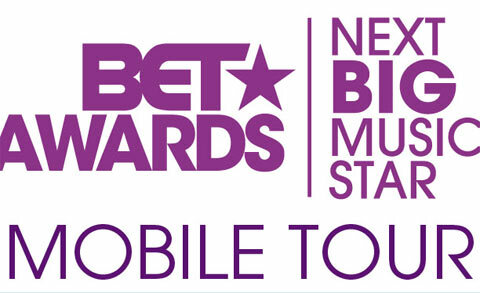 The tour, a talent-recruiting contest for the BET 2012 Awards Show, features a fully equipped mobile recording studio, and will stop in five cities, including Washington D.C., Philadelphia, Atlanta, Memphis, and Houston. To enter, aspiring contestants will need to register on the tour’s Facebook page at facebook.com/TheBETAwards and attend the event. There, they will sing acapella in front of a judge for a chance to record a track in the on-site deluxe mobile recording studio. After all of the winners in each city have recorded in the studio, a grand-prize winner will be selected by BET judges and through online fan voting. The grand-prize winner will attend the BET 2012 Awards Show and get a chance to perform live on the 106 & Park pre-show. The tour is designed to inspire young music talent from city to city, online and offline, on-air and off. And, at each location, music industry professionals and celebrities will be in attendance to help mentor the winners in the studio. With some talent, a little luck, and a lot of online votes, one lucky grand-prize winner could be the next big music star.